Though considerably quieter and more reserved than its younger sibling to the South Saigon, Hanoi has managed to maintain a lot more of its original Vietnamese charm and character. What the capital might lack to her rival in terms of modern high rises, shopping and nightlife she makes up in a lovely and unique landscape of lakes, old temples, verdant parks, shaded boulevards and Indochinese colonial architecture. While the proximity to Halong Bay and Sapa Valley are the main reasons most people initially pass through the capital, Hanoi remains one of the most fascinating cities of Vietnam that definitely shouldn’t be rushed through if you happen to be in the region. 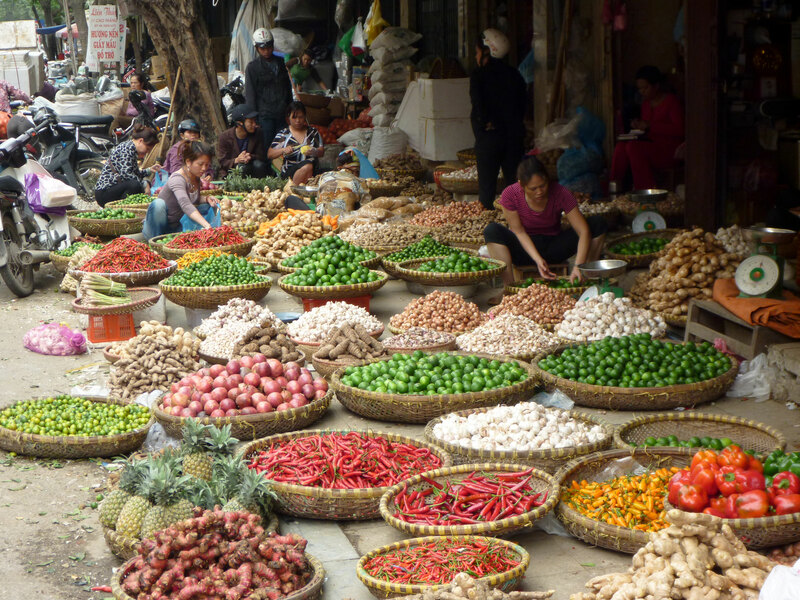 The best place to start any trip to Hanoi is by exploring on foot the confusing maze of narrow cobblestoned streets that make up the historic Old Quarter. Having served as a center of commerce for close to a thousand years now this is your best bet to sample Hanoian life at its most authentic. 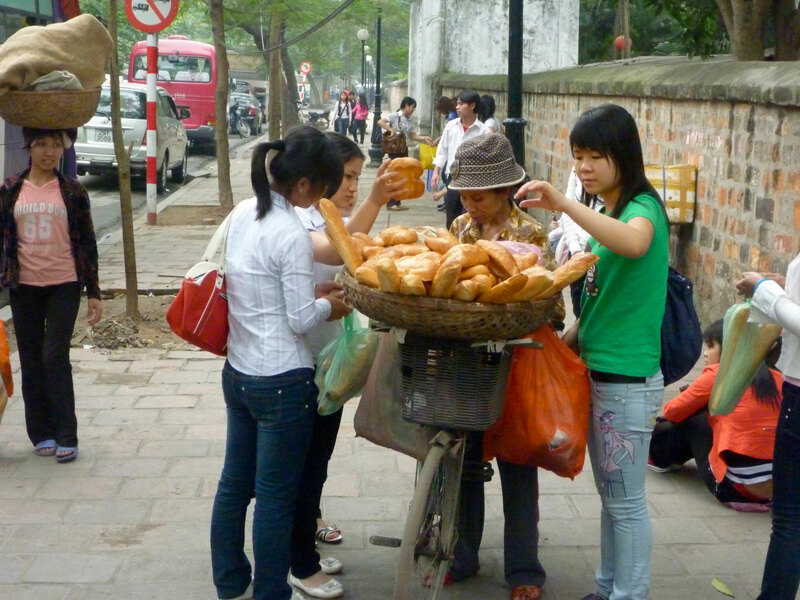 Bustling with activity, the streets are lined with old buildings of colonial and pre-colonial architecture featuring the usual traditional businesses like cafés, restaurants, markets and shops stalls as well as a few tourist geared establishments such as travel agencies, souvenir shops, guest houses and art galleries. One thing you’ll quickly notice as you wander the side alleys and back streets of the Old Quarter is just how easy it is to get lost in them as no streets seems to meet at 90 degrees but hey, that’s all part of the fun! 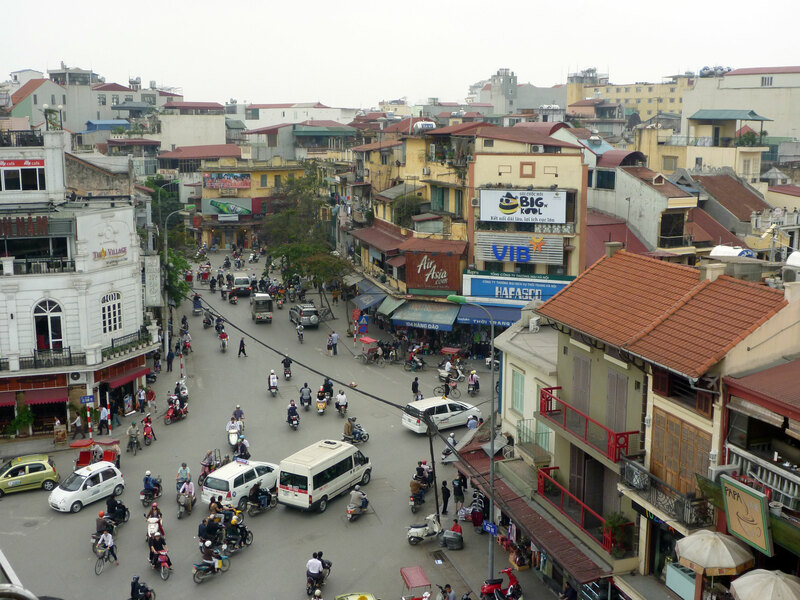 The experience can get rough at times though, as being in the center of any major Vietnamese city this means it’s going to be noisy, polluted, choked with traffic and the non stop frenetic honking of motorbikes as they pass you by can quickly become overwhelming. Also plan on learning to develop a new set of skills if you want survive crossing streets unscathed. From my personal experience, only in India did I remember it to be worst. So half a day at a time is the best way to approach the Old Quarter with a few stops along the way to unwind at a local café whenever needed. The good thing about Hanoi is a lot of the city’s the top attractions are found in relatively peaceful surroundings and Hoan Kiem Lake is a great example of that. 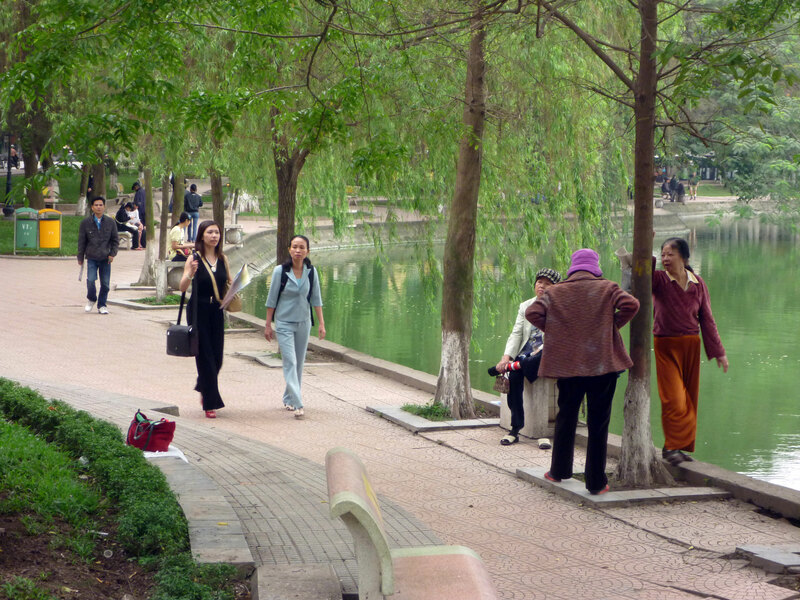 Located just next to the Old Quarter the locals consider this place to be the soul of the city and with its peaceful tree shaded walkways, the lake really feels like a like an oasis of calm in the middle of chaos. 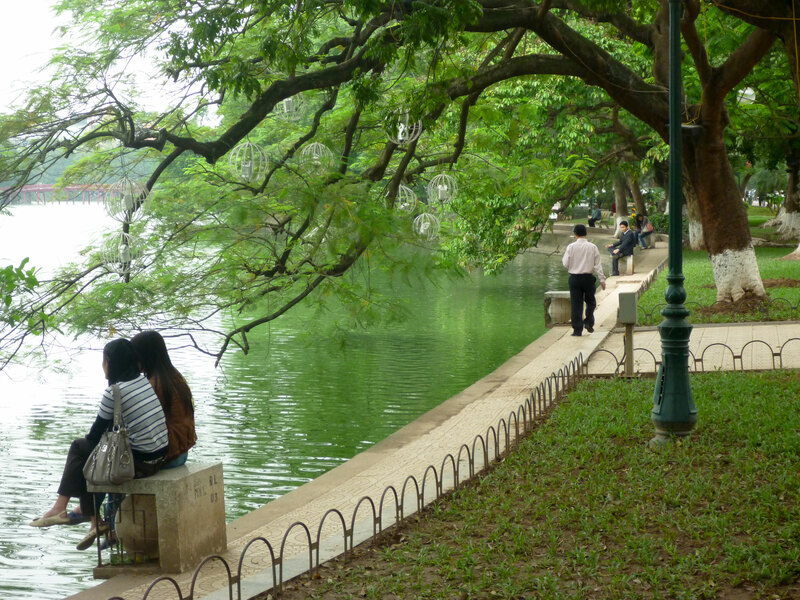 Once done with the center area of Hanoi it’s time move on and explore the multitude of other cultural and historical sights, parks and lakes around the city. 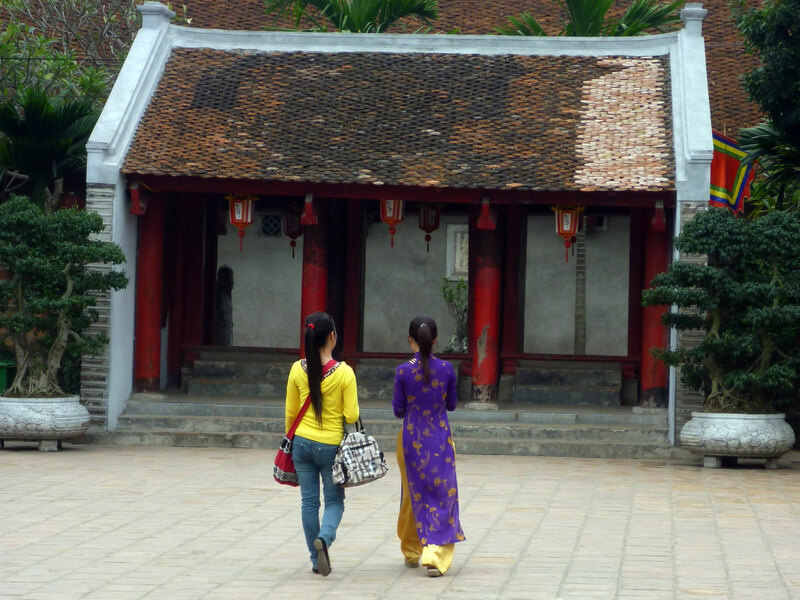 While there are over 600 temples and pagoda from which to chose from in Hanoi, The one you definitely don’t want to miss for it’s beautiful gardens and serene set of buildings is the Temple of Literature. 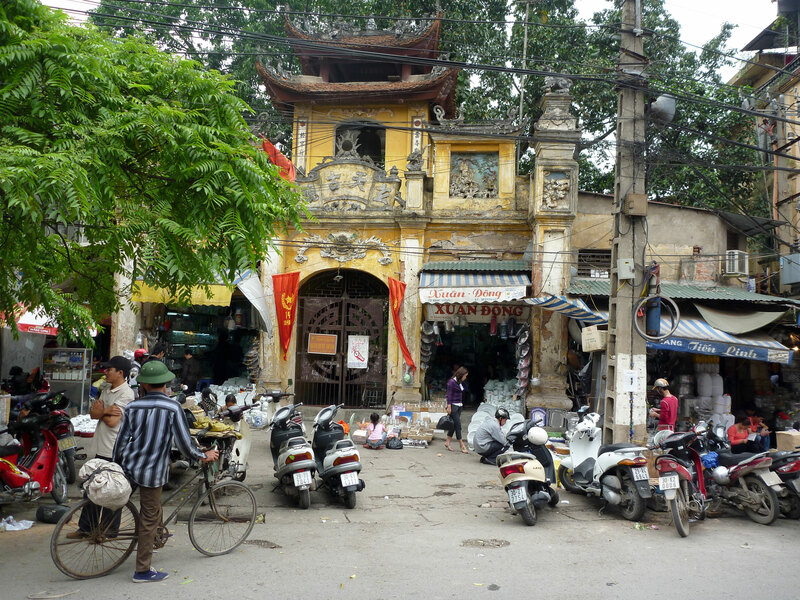 Dedicated to Chinese philosopher Confucius the 1000 years old long and narrow temple complex is of the few remaining examples of well preserved traditional Vietnamese architecture. 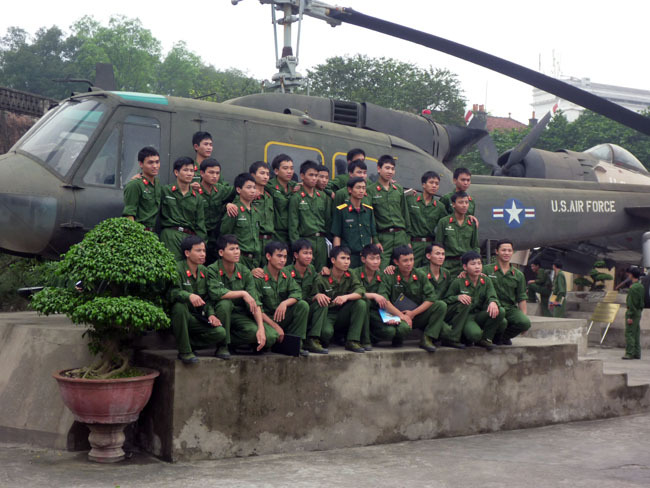 The other main attractions are the War Museum, a good place to start off if you want to better comprehend Vietnam’s troubled history of war and revolution. Inside is featured a large collection of war photography with compelling descriptions of the events unfolding which are vivid, poignant and sometimes heartbreaking. Outside is displayed an impressive collection of captured hardware from the American and French wars. You’ll find tanks, vehicles, aircrafts, artillery pieces and automatic weapons just to name a few among the various pieces of equipment found in front and in the back of the museum. 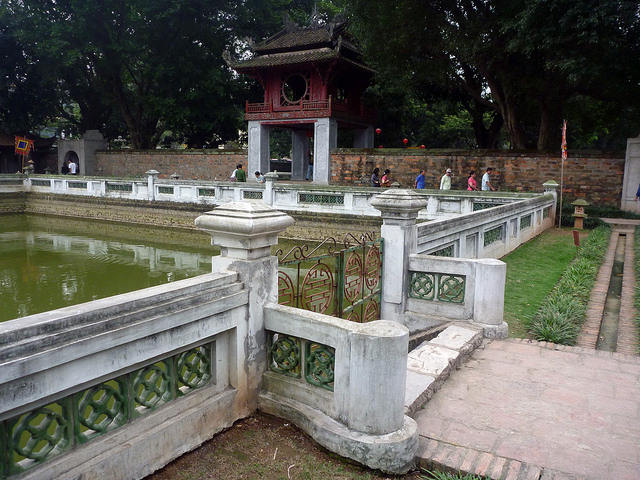 Then there’s the Ho Chi Minh’s Mausoleum, Vietnam’s holiest of holiest where you can catch a glimpse of Uncle Ho’s embalmed body. Just next door is the Ho Chi Minh Museum, dedicated to the man’s life and accomplishments. Interesting for those who would want to get more familiar with the most revered figure of Vietnam to this day. 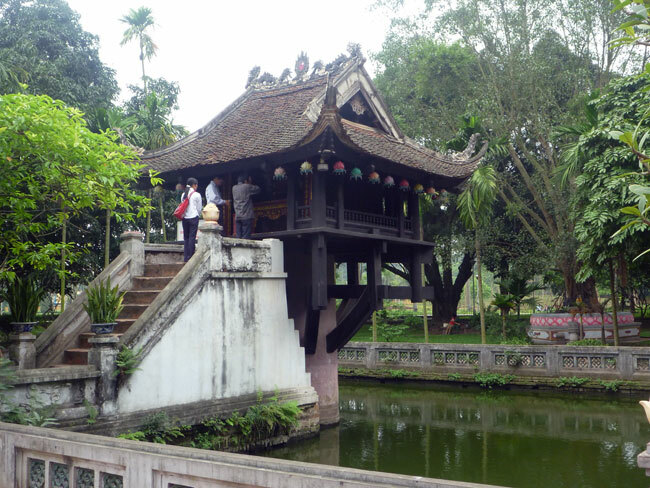 A mere few meters away is One Pillar Pagoda which was originally built by Emperor Ly Thai Tong from 1028 to 1054 in honor of goddess Quan Am. Making a prayer here is said to bring good health and fertility. The other main sights that I didn’t have time to visit are the Botanical Gardens, Hoa Lo Prison (commonly known as the Hanoi Hilton), the Vietnam National Museum of Fine Arts, Quan Su Pagoda, and the Museum of Ethnology. 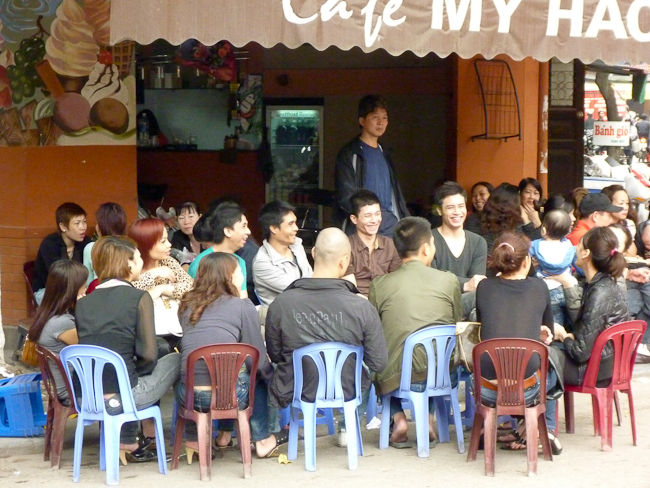 Concerning your stay in Hanoi I have a little tip if you want to sleep beyond 7 AM on any given morning. 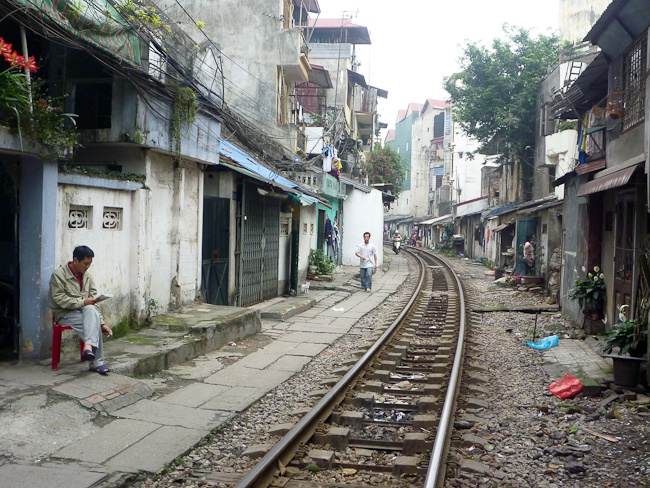 Book a room that is not facing the street. Why? Huge megaphones are strategically installed all over the city that bring the daily propaganda early in the morning between 6h45 and 7h15 in hour long news broadcasts repeating at various time throughout the day. The volume that emits from these loudspeakers is so loud there’s no way you’ll be able sleep through them even with ear plugs on if you just happen to be near one… I swear if you’re close enough you won’t even be able to hear the traffic anymore!